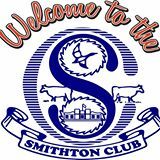 Welcome to the Smithton Club! in the main shopping district of Smithton. we offer a large selection of beers, spirits and wines both in the main bar or in the bottleshop. Our Bottleshop has recently been extended, and we are now a Cellarbrations bottleshop. Download the Cellarbrations app for your mobile phone to keep on top of all the fortnightly specials and current promotions. The Club is a great place to catch up with friends for a quiet drink after work. Members and visitors are welcome.